Next Sunday, over a hundred core group members and their guests will gather at 10:30 am, for the first Sunday morning worship service for Watermark Fort Worth. 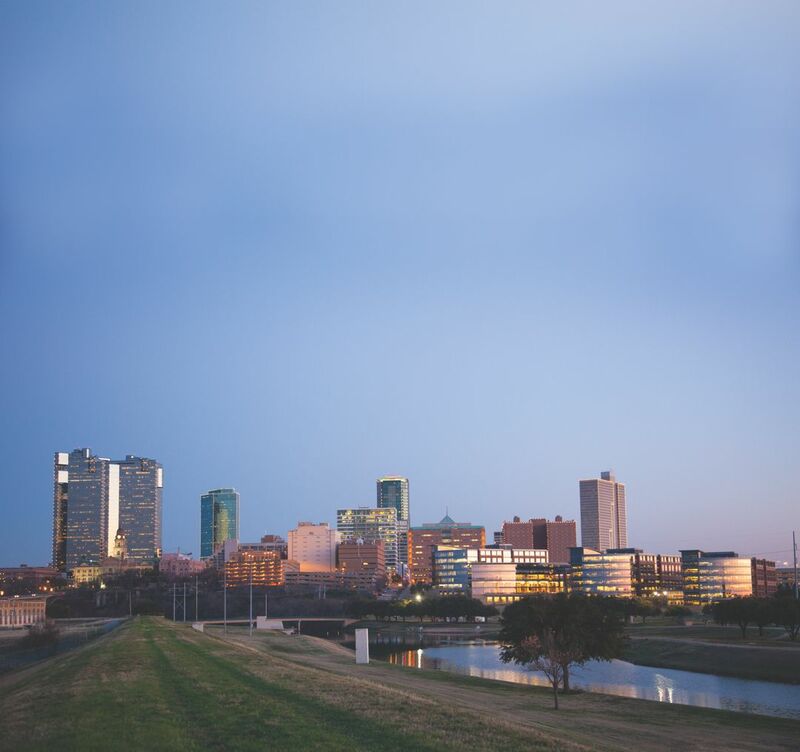 The launch of this new campus is the culmination of months of prayer and relationship building by the Watermark Fort Worth team, which is led by Gary Stroope and includes Patrick Blocker (Community and Frontlines) and Angela Ardis (Children’s Ministry). Here’s what you need to know and how we can pray for the families in Fort Worth. Gary Stroope: Many people have come to Watermark from the mid-cities area, and that number has continued to grow. People have often asked when there would be a location in Tarrant County to make it easier to reach our friends in Fort Worth. God made it clear that the timing was right. We are now one church with two campuses, and we are exporting the biblical leadership of Christ that has changed our lives. HOW DID THE FORT WORTH CAMPUS GET STARTED? Gary: A core group of people who were interested in launching a church in Fort Worth has met since the fall of 2012. We’ve spent time in prayer in various homes and in our offices behind the Ridglea Theater. Todd Wagner’s challenge to the core group has been not to ‘come to church, but to be the church,’ and live out the dream of being everything God’s Word calls us to be. What God has done since then has been encouraging. We’ve seen the group mature and expand into a community of people who are anxious to serve God’s cause in Fort Worth. More than a hundred men took part in “A Few Good Men,” a leadership series that our elders helped teach last month. Sunday, March 3, will be the first time our growing community will meet for a larger worship gathering in the Ridglea Theater in Fort Worth. We’ll continue to meet there each Sunday in the weeks and months ahead. WHAT HAS ENCOURAGED YOU MOST AS YOU’VE STARTED THE JOURNEY IN FORT WORTH? Gary: We’re beginning to see people love and share their lives with each other much like the model set in Acts 2. People in our body are recognizing the sins that have become obstacles to growth in Christ. It’s remarkable to see God working in their lives in preparation for what He will do in and through them in the years to come. WHAT IS DIFFERENT ABOUT THE FORT WORTH CAMPUS? Gary: All of us are under the same elder leadership. We will meet at the Ridglea Theater, and there will be live music and worship on Sundays. The Fort Worth campus will have (on-screen) the same message from God’s Word that’s shared in Dallas. Our children will use the same curriculum for Starting Blocks and On Your Mark. Eventually, our hope is to have the same kind of ministries in Fort Worth as we have in Dallas. That will happen as God raises up leaders with a passion for meeting those needs. HOW HAVE YOU SEEN GOD AT WORK IN FORT WORTH OVER THESE LAST FEW MONTHS? Gary: When I came to Watermark almost 10 years ago, it was the first time I saw adults coming to know Christ as their Savior. Other adults were reawakened in their faith and were coming to understand that God and His Word could be trusted. Each week, we see people find the courage to confess sin that has pushed them farther away from the Lord, or seek help for a struggling marriage. People are responding to God’s Word here in Fort Worth the same way they have in Dallas, and that is because God has gone before us. He is so good. Gary: It is because of your faithfulness and stewardship that our mission has been able to expand to Fort Worth. People have been faithful to share their stories and engage with others about God’s grace. That has made the campus in Fort Worth possible. God has now given us another great opportunity, and we are excited for more people to discover how great our God of transformation and hope really is. ‘The Next 100’: Pray that life-change and full devotion to Christ will quickly become the norm among our Watermark family in Fort Worth, and that more will be drawn into relationship with Christ through our mission. Children’s Ministry: Please pray for volunteers who are eager to help raise up the next generation of Christ followers. Also pray that the children will begin to build relationships with one another and an enthusiasm for learning God’s Word. Community: Pray that people understand God’s heart for biblical community and what it means to be ‘on mission’ where God places us. Please pray for the GroupLink in Fort Worth on March 17, and for the leaders who will set the tone for authenticity and dependence on Christ in community groups. The post ONE CHURCH…TWO CAMPUSES appeared first on Watermark Community Church Blog.